as well as YouTube which is owned by Google itself. Google SBS blacklists approx 9,500 websites every day. 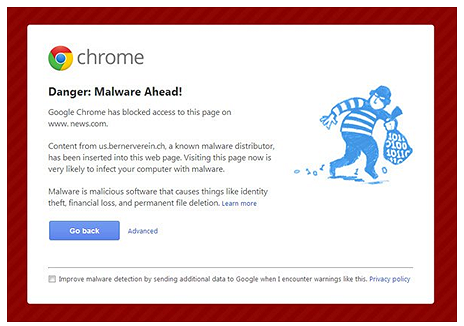 malware by simply visiting an infected website. warning them not to click through to the infected website. any websites flagged by its Safe Browsing Service. This can cause damage to the business in a number of ways. as a direct result of SBS blacklisting. so that they can cause more damage. provide anti malware scanning services. associated consequences and damage to your online Business.